Thank you for shopping our products! After your purchase, you will receive an email with instructions your next steps to take so you can enjoy your goods. Did you see our other Books and eCourses? 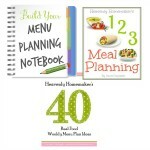 This kitchen resource is designed to be your “go-to” book, we chose to have it professionally printed and spiral bound. Oh, For Real is printed in full color, on 8 1/2 x11 inch pages – with pictures, tutorials, information, and of course – lots of recipes. It isn’t fancy. It isn’t overwhelming. It’s just me sharing “how I do it” when it comes to feeding my family a healthy diet on a limited budget and with limited time. This book will be mailed to you within two weeks. 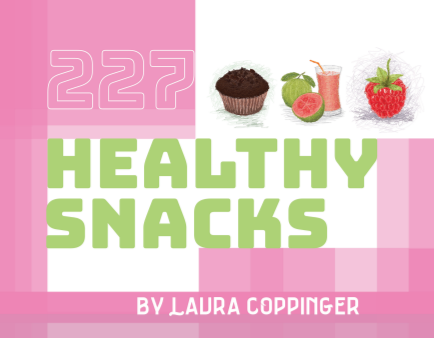 This eBook contains 59 pages full of 227 awesome real food snacking ideas. These have all become our snacking staples, and they are sure to become yours too! 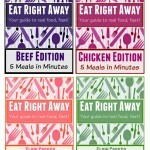 Four recipe guides to help you eat real food, fast! 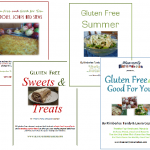 We've packaged these $2.00 packets into one easy downloadable collection of four. You'll love how easy these make it to feed your family great meals with little effort! Menu planning can save you money, time, and help you eat healthier too. Let these downloadable guides and planners make the job even easier! 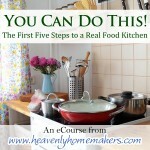 Hoping to take steps to transform you kitchen into a real food kitchen? This eCourse breaks it down into simple steps that you can tailor make to fit your family's needs. It's easier than you think! 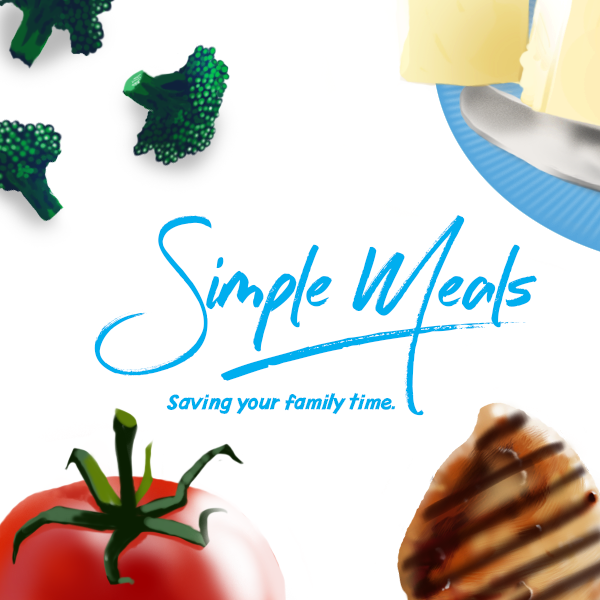 Learn how to get ahead in the kitchen to save time, money, and put real food meals on the table for your family efficiently. This five-lesson eCourse has loads of information, for a very low price! This eBook includes 33 easy, healthy, real food recipes – all of which can be put together and set aside or frozen to be served when you need them. We’ve got you covered through breakfast, lunch, dinner, and snacks. 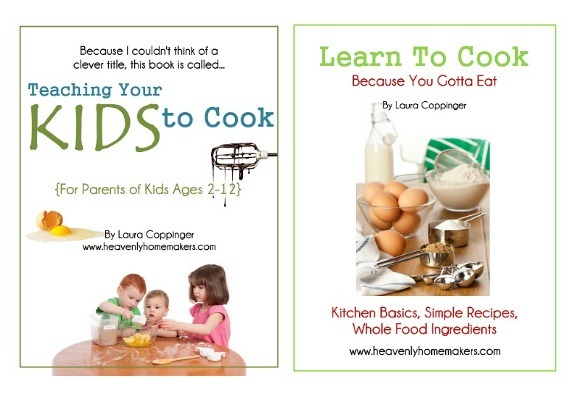 From ages 2 on up, you can print and use these eBooks with your kids to help them find their way around the kitchen. 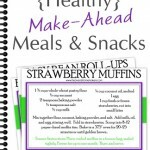 These are filled with recipes, instruction, activities, and encouragement! 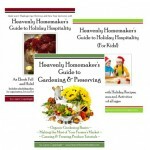 Get all three of our seasonal guide eBooks for holidays and gardening! 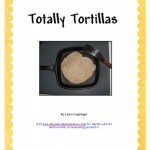 Totally Tortillas eBook shares my (almost) famous Whole Wheat Tortilla recipe, along with several recipes for ways to use your homemade tortillas. You won't believe how delicious! Feeling unorganized? Want to become more efficient in the kitchen? 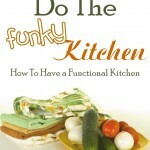 Do the Funky Kitchen eBook to the rescue! 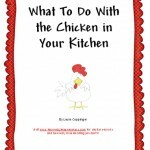 Need some real food, real easy chicken recipes? This little eBook is a great one! 43 pages of learning activities, games, crafts, recipes, and fun! 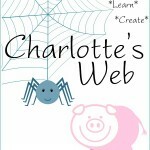 Use this eBook to encourage creativity and learning while you read Charlotte's Web with your family. 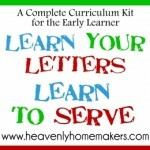 Teach your child to serve…one letter at a time! This 183 page downloadable kit includes thorough lesson plans, games, crafts, recipes, memory verses, Bible story suggestions, vocabulary stimulation and discussion, play, books to read and so much more…all while encouraging service to God! 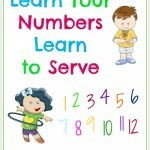 This eCurriculum contains 148 pages filled with activities, patterns, printables, instructions, crafts, and games – all with the purpose of teaching your child numbers, counting, Bible stories and teachings, and a heart of service – all at the same time.